Have you heard the line that girls are sweet and gentle while boys are rough and tumble? What a load of crap! 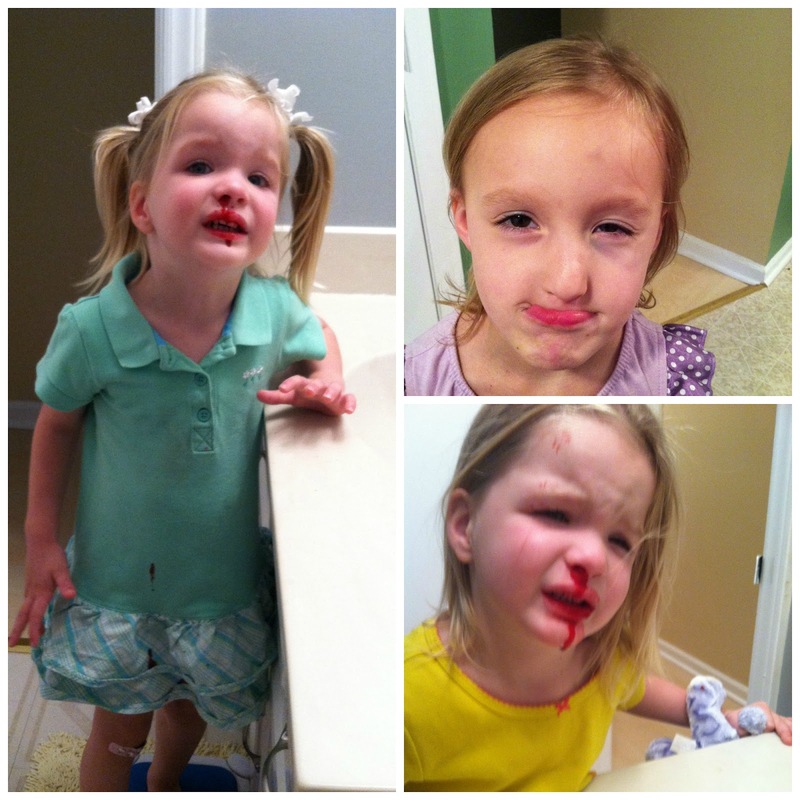 My girls are just as rough and tumble as the boys their age. Now I understand that there are some kids who fit that stereotype, but my girls surely do not! They love wrestling and rough housing! I'm constantly being tackled or asked to play chase which ends in my picking them up and tossing them on the bed or couch. Mark gets in on the fun too, but ironically he requires a more gentle hand than my girls. The wrestling lately has gotten a little brutal. They're not being mean spirited but the bloody noses and black eyes are there all the same. Sugar and spice and everything nice, that is what girls are made of - yeah my girls missed the memo! I've already gone through stitches with 2 of my girls. But, my rough and rowdy boy? Not a single scratch in three years. I hope you didn't just jinx yourself. It's the same way in my house. Although my son falls down every two minutes so his knees and forehead take a beating.